A garden flower known for its showy purple flowers that attract birds and butterflies. 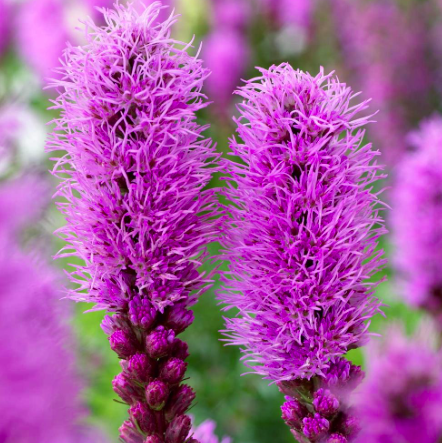 Native to eastern North America where it grows in meadows and moist prairies, Liatris spicata grows best in moist, fertile, well-drained soils. 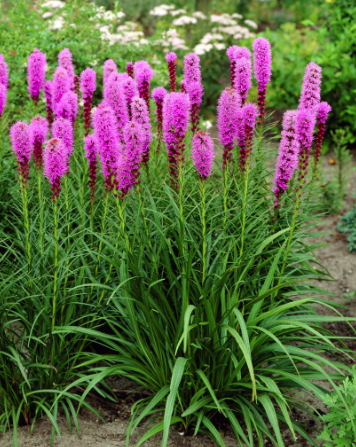 Blooms in tall spikes of purple flowers that look like feathers which grow one to five feet tall. Historically Native Americans used the root of the plant as a medicine Now it is used for a sore throat, as an herbal insect repellent, and in potpourri. 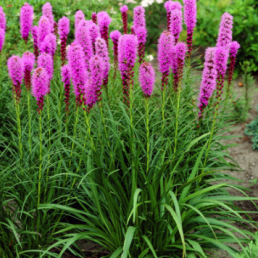 Can be grown from seed, but slow to establish.